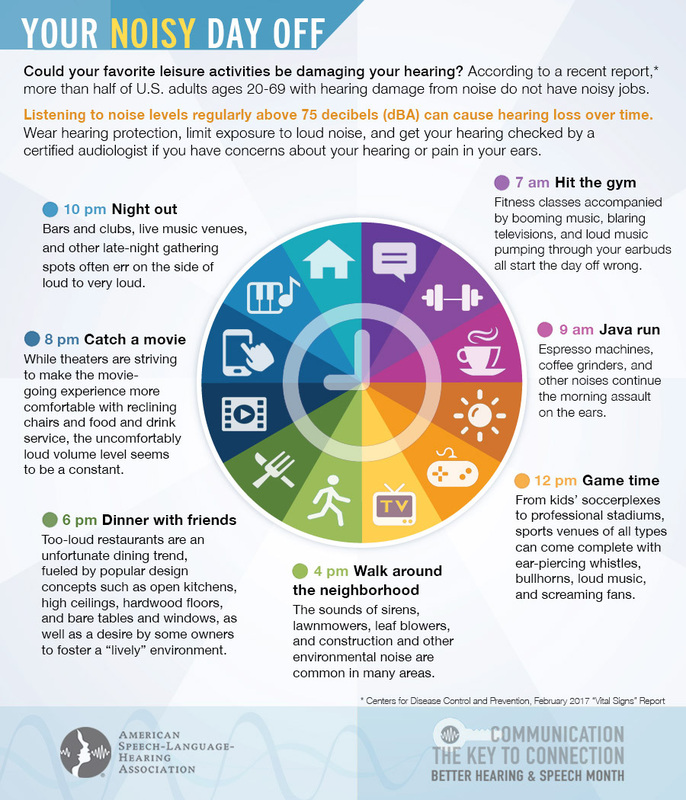 (Rockville, MD – May 3, 2017) A new national survey of U.S. adults released today indicates that a significant percentage of Americans are concerned that exposure to loud noise in leisure settings has harmed or will harm their hearing, and they say that it is also reducing their enjoyment of those settings. 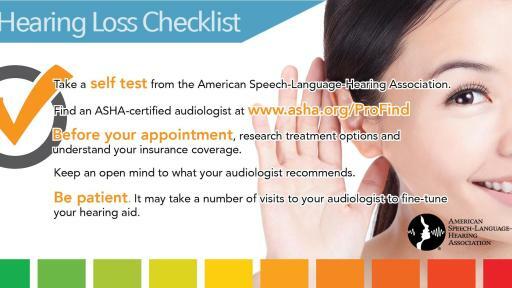 Commissioned by the American Speech-Language-Hearing Association (ASHA) for May Is Better Hearing & Speech Month, the survey of more than 1,000 U.S. adults ages 18 and older shows surprisingly consistent results across age groups. 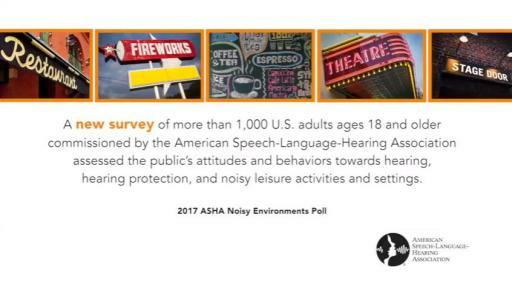 In total, 41% of all adults polled are concerned that past exposure to loud leisure settings may have harmed their hearing—and more than half (51%) worry that future exposure could be harmful. 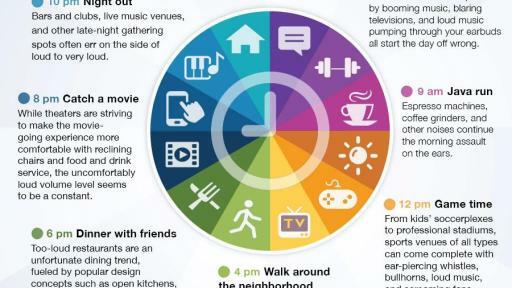 Additionally, more than one third said loud noise has reduced their enjoyment of out-of-home activities. 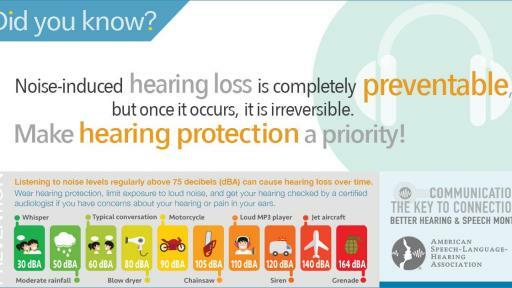 Make hearing protection a priority! 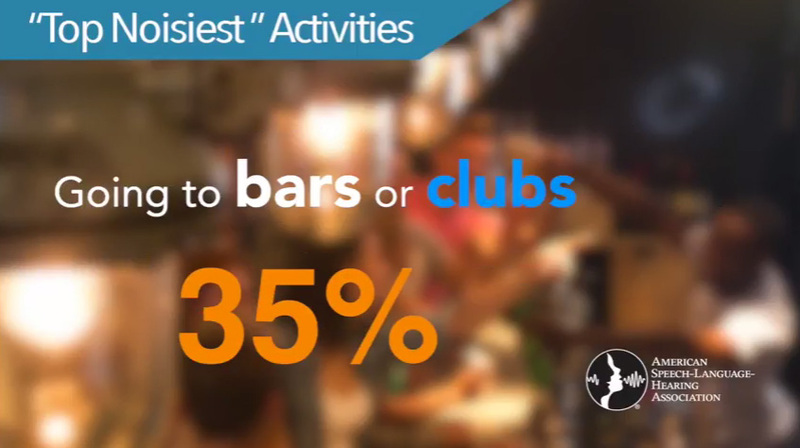 Bars, clubs, and concerts emerged as the “top noisiest” places in the ASHA polling. 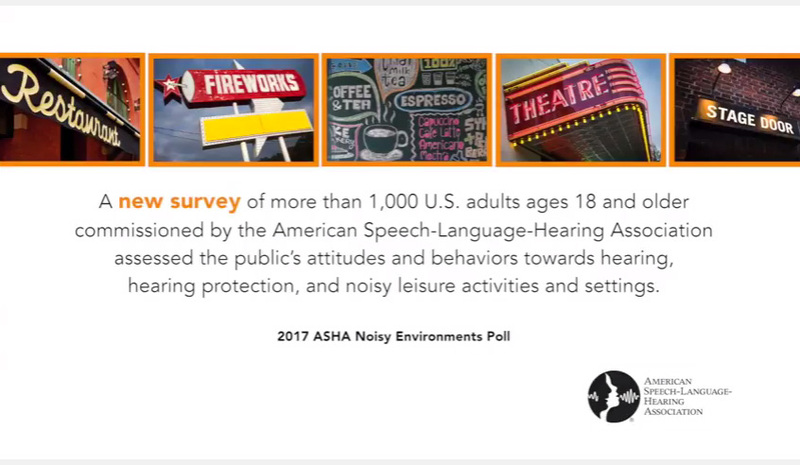 Restaurants and movie theaters also placed among the highest ranked locations where poll respondents said that noise has bothered them or kept them from visiting those establishments. Two-thirds of respondents polled felt that society has become noisier. Nearly half said they tend to prefer quiet or even very quiet out-of-home activities. And more than a quarter had decided not to return to a venue because they found it noisy. Somewhat surprisingly, the youngest generation polled, 18- to 29-year-olds, reported the highest level of dissatisfaction with the noise levels in public places. 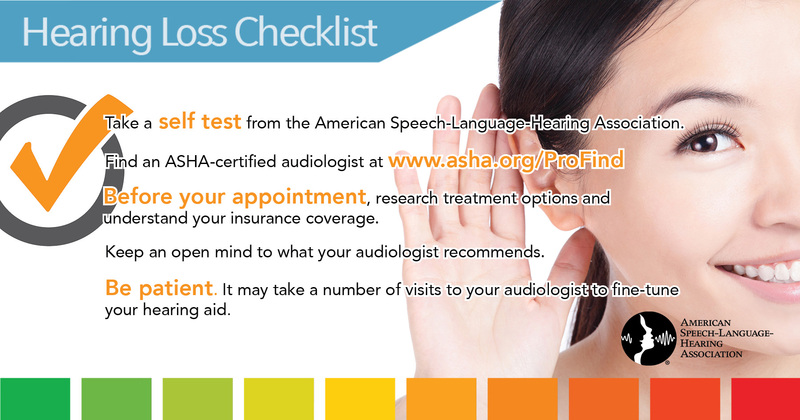 A majority of poll respondents (72%) reported taking at least one step to limit their exposure to noise. 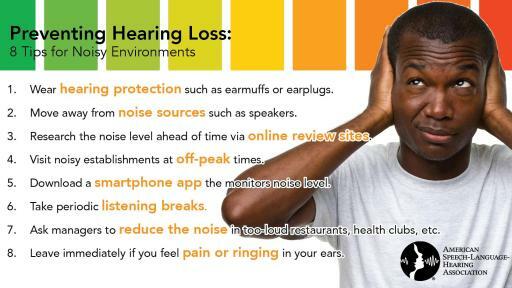 Among the more common actions were moving away from noise sources, choosing off-peak times to visit establishments, and bringing earplugs. There are additional steps that the public can take to protect themselves, Richard notes. 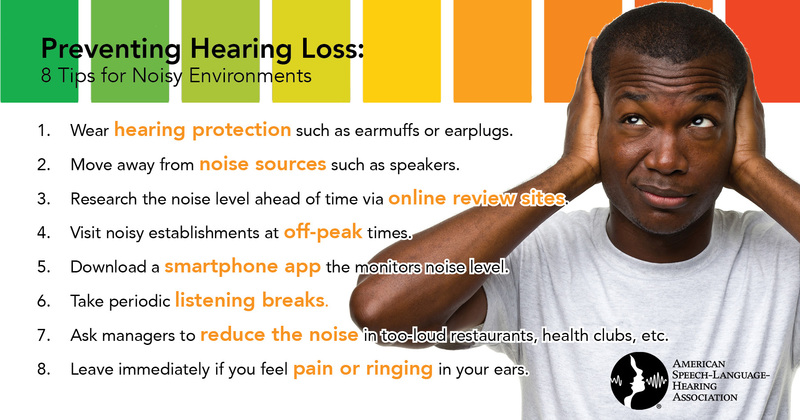 These steps include asking for noise to be turned down, downloading a smartphone sound-level app to monitor noise, and researching the noise levels at destination venues ahead of time (many online business and restaurant review websites provide information on noise level). Poll results suggested that venues bear some responsibility for managing noise levels, including turning down the volume of music and loudspeakers and making design changes to lower ambient noise. 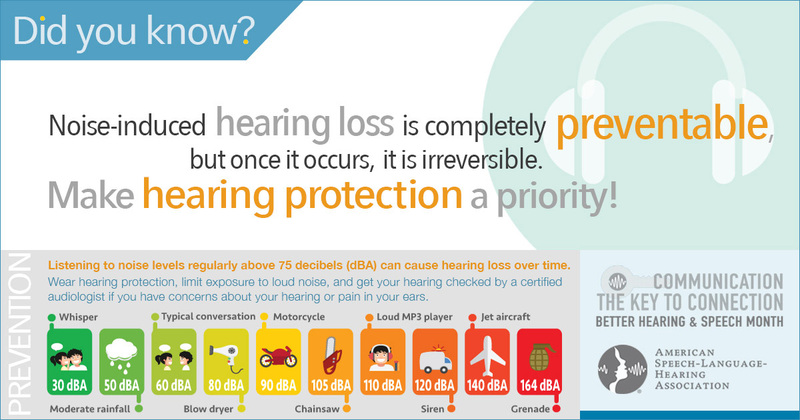 Respondents also were largely in favor of increased education for consumers and business owners, and they supported requiring venues to make earplugs available, offer “hearing protection zones,” and display noise-level monitors with clear “safe/unsafe” indicators.